In order to drive traffic to the Metalarte website, the illustrator Joan Negrescolor has commissioned a series of posters, using his own illustrations, that recall and play on old tourist postcards using the Leitmotiv to which we were once used to - 'VISITEZ' - and where the place name is, in this case, the Metalarte.com website. 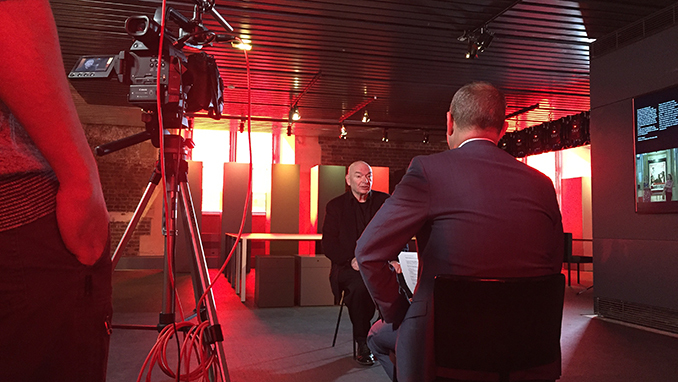 After the recent collaboration of Luxiona in the "My architect's furniture" exhibition by Jean Nouvel at the Museum of Decorative Arts in Paris, the French architect offers us a series of exclusive interviews on lighting via various collaborations with the Luxiona Group and in particular, the group's brand Troll. The first of these is an introduction to Paralum. "Paralum de Luxiona is more than just a lighting device, much more even than a false ceiling that incorporates light fittings. Paralum truly affirms itself as an illumination objet d’art, permanently interfering with and interchanging with its surroundings.